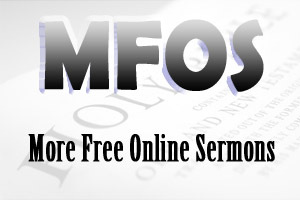 Hermeneutics is a set of principles that is used to determine the meaning of the biblical text under investigation. Understanding hermeneutics is paramount in developing a consistency in the interpretation of Scripture. To understand biblical hermeneutics in the interpretive process, it is essential to define the terms used within this field of study. The four key terms that need defining in the interpretive process are hermeneutics, exegesis, exposition and preunderstanding. Hermeneutics is a set of principles that is used to determine the meaning of the biblical text under investigation. Exegesis is the skilful application of sound hermeneutical principles to the biblical text under investigation in order to determine the author’s intended meaning. Exposition (application) is the communication of the meaning of the text along with its relevance to present-day hearers. In other words, the interpretive process involves a set of principles (hermeneutics) that can be applied in order to find the author’s intended meaning (exegesis) so that the meaning and relevancy of the text can be communicated to present-day hearers (application). Hermeneutics is basic to good exegesis and correct exposition. These principles should be established before attempting to formulate biblical doctrines. Preunderstanding is another term that needs some defining because of its recent rise to prominence in hermeneutical literature. Preunderstanding may be defined as a body of assumptions and attitudes which a person brings to the perception and interpretation of reality or any aspect of it. Some recent scholars have integrated preunderstanding into the interpretive process. However, the great danger of integrating preunderstanding into the interpretive process is that preunderstanding becomes the determining factor, which emphasises the subjective element in its reasoning, rather than the interpretive methodology. In the past, the interpreter sought to suppress his preunderstandings so that the meaning of the text would speak for itself. Therefore, the interpreter should not integrate preunderstanding into the interpretive process because of the emphasis on the subjective elements in its reasoning. Furthermore, seeking objectivity through repression of one’s preunderstanding should be the goal of every interpreter. If you want to understand biblical hermeneutics from an evangelical perspective, I have made available a research paper that I wrote in my postgraduate studies. 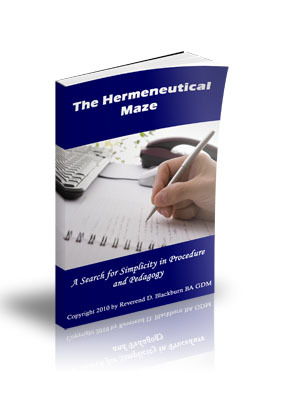 This research paper on hermeneutics was a search for simplicity in procedure and pedagogy. You can purchase this book for $4.95 by clicking on Hermeneutics.